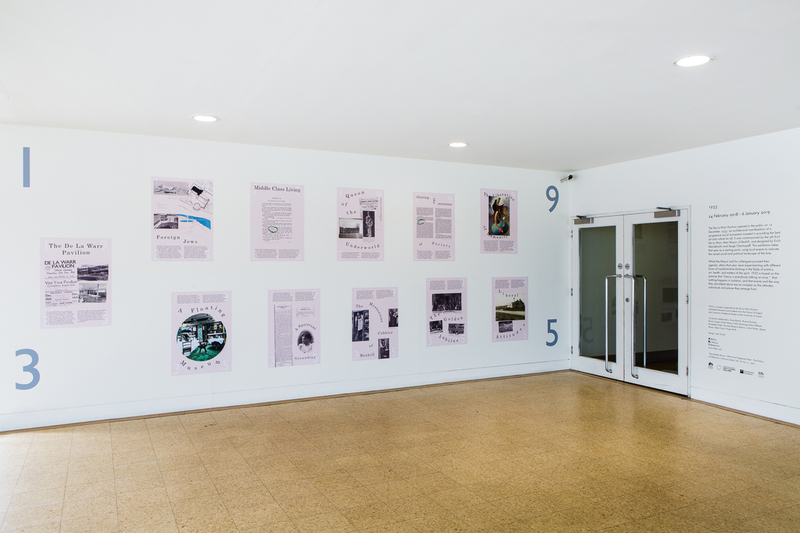 ‘1935’ brings together a series of events that took place in and around the vicinity of the De La Warr Pavilion, the year the building opened to the public. Whilst the Mayor and his colleagues pursued their agenda, others that year were experimenting with different forms of transformative thinking in the fields of politics, art, health, and matters of the spirit. 1935 is based on the premise that “history is everybody talking at once”, that nothing happens in isolation, and that events and the way they are talked about are as complex as the attitudes, individuals and places they emerge from. 1935 is a project organised by the De La Warr Pavilion with Bexhill Museum and students from the School of English and Centre for Modernist Studies at the University of Sussex. It is supported by the Paul Hamlyn Foundation. 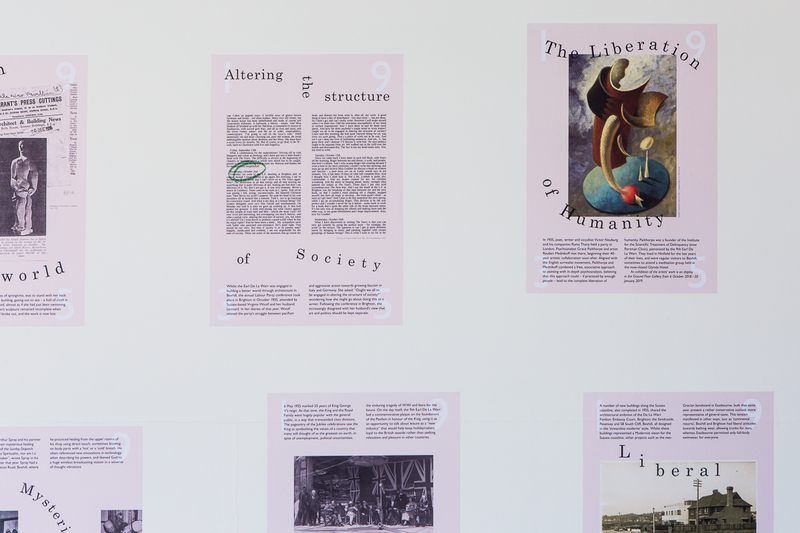 Curatorial collaborators: Anna Brewis, Rowan Bunney, Rosie Cooper, Katie Hains, Holly Manning, Emily Oldham, Ricardo Reveron Blanco, Julian Porter, Agnes Rowe, Helen Tyson, Hope Wolf. The 9th Earl’s family was unconventional and socially minded, and the idea of bringing art and culture to everyone was not new to them. In 1878, the 9th Earl’s grandfather, Thomas Brassey, founded the Brassey Institute in Hastings, which included a library, assembly room, a school of art and science and space for the local Rowing Club. His grandmother, Annie Brassey, used her ship Sunbeam as a floating Museum, opening it to the public when it moored. 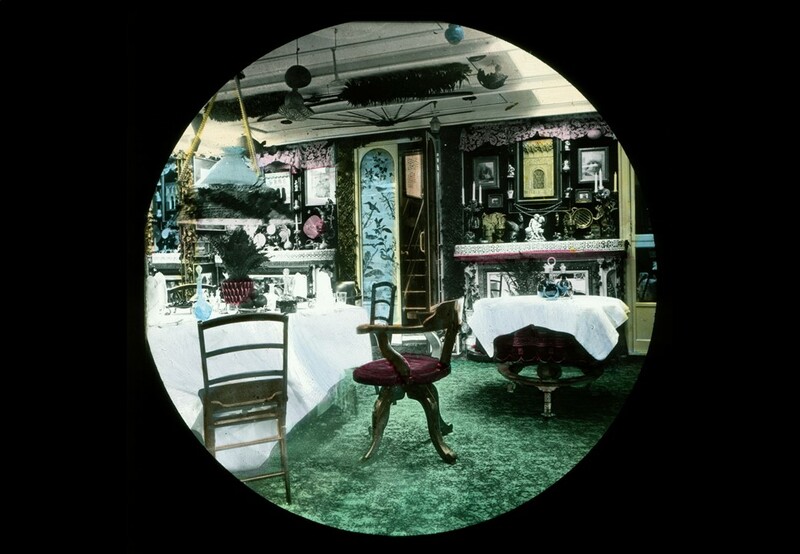 On board was an extensive collection of ethnographic and natural history objects, gathered on her travels around the world. The 9th Earl’s mother, Muriel Brassey, was president of the Woman’s Suffrage Society for Hastings, St Leonards and East Sussex, financially supporting trades union rights and self-determination for India. Her moral work had a spiritual grounding: in 1911 she became involved in Theosophy, a philosophy based on knowledge through spiritual ecstasy and belief in reincarnation. The Theosophists identified a young Indian man, Krishnamurti, as the new ‘World Teacher’. He was brought to England from India by writer/artist Annie Besant, living for a while with the De La Warr family whilst a custody battle ensued between Krishnamurti’s father and the Society. The Pavilion’s original design included a 26ft high sculpture by Frank Dobson that combined a modern aesthetic with an ancient story. Dobson’s sculpture of Persephone, known in Greek mythology as Queen of the Underworld and goddess of springtime, was to stand with her back to the building, gazing out to sea – a fold of cloth in her hand, almost as if she had just been swimming. Dobson’s sculpture remained incomplete when the WWII broke out, and the work is now lost. 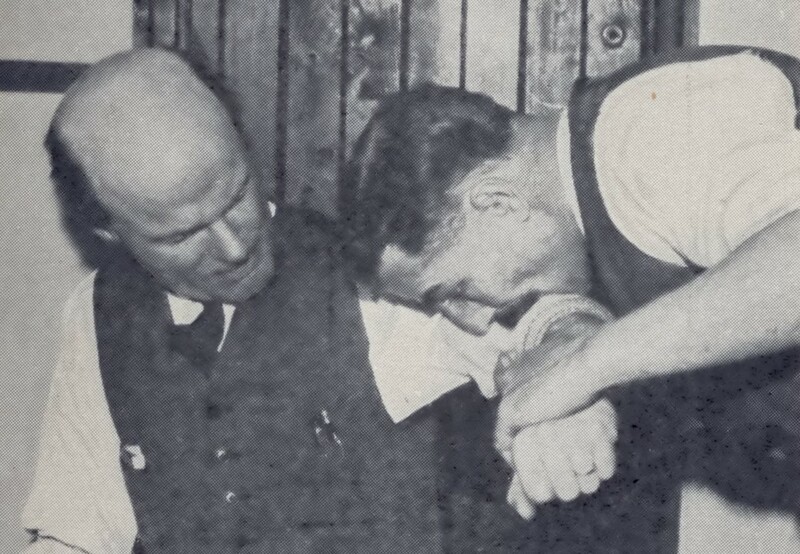 On 3 January 1935, Arthur Spray and his partner Alice demonstrated their mysterious healing powers at the offices of the Sunday Dispatch newspaper. “I am not a Spiritualist, nor am I a yogi. I am just a shoemaker”, wrote Spray in his memoirs, published later that year. 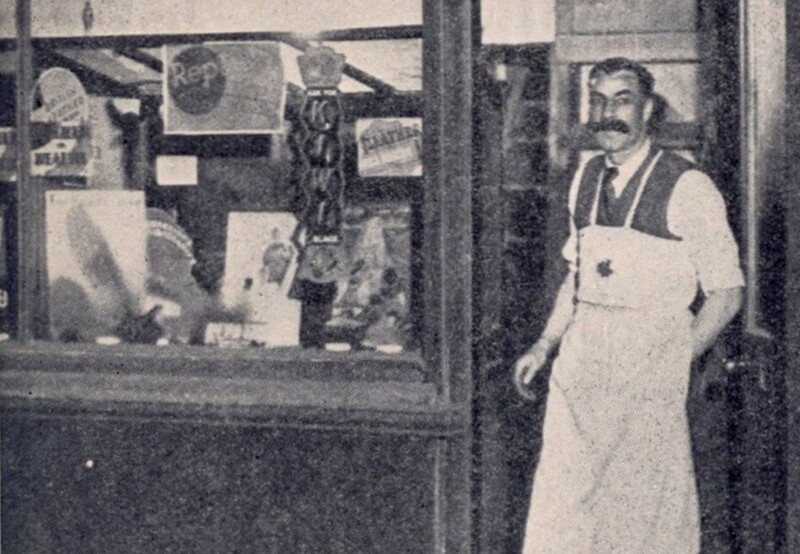 Spray had a cobbler shop at 16 Station Road, Bexhill, where he practiced healing from the upper rooms of his shop using direct touch, sometimes blowing on body parts with a ‘hot’ or a ‘cold’ breath. He often referenced new innovations in technology when describing his powers, and likened God to a huge wireless broadcasting station in a universe of thought vibrations. Written in 1935 and published the following year, Agatha Christie’s novel The ABC Murders described a series of killings, planned alphabetically. B stood for Betty Barnard, a waitress who lived in a recently built bungalow, ‘Llandudno’, with her retiree parents on the outskirts of Bexhill. Although Christie is usually associated with the country house murder, this book, this book demonstrates her fascination with new forms of housing, social change, the rise of middle-class living and the spread of new building in the countryside, all impartially represented as part of a new reality. In 1992, the De La Warr Pavilion featured in the book’s television adaptation, starring David Suchet as Hercule Poirot. 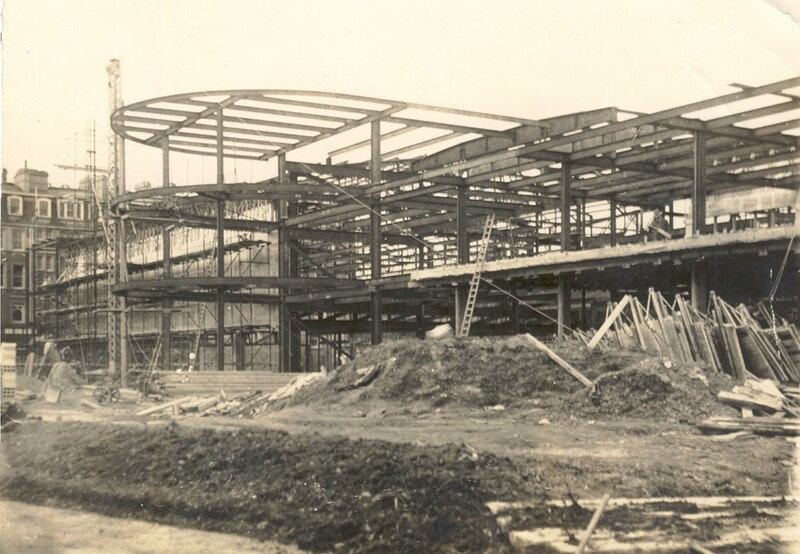 Whilst the Earl De La Warr was engaged in building a better world through architecture in Bexhill, the annual Labour Party conference took place in Brighton in October 1935, attended by Sussex-based Virginia Woolf and her husband Leonard. In her diaries of that year, Woolf related the party’s struggle between pacifism and aggressive action towards growing fascism in Italy and Germany. She asked: “Ought we all to be engaged in altering the structure of society?” wondering how she might go about doing this as a writer. Following the conference in Brighton, she increasingly disagreed with her husband’s view that art and politics should be kept separate. 6 May 1935 marked 25 years of King George V’s reign. At that time, the King and the Royal Family were hugely popular with the general public, in a way that transcended class divisions. The pageantry of the Jubilee celebrations saw the King as symbolising the values of a country that many still thought of as the greatest on earth, in spite of unemployment, political uncertainties, the enduring tragedy of the First World War and fears for the future. On the day itself, the 9th Earl De La Warr laid a commemorative plaque on the foundations of the Pavilion in honour of the King, using it as an opportunity to talk about leisure as a “new industry” that would help keep holidaymakers loyal to the British seaside rather than seeking relaxation and pleasure in other countries. In 1935, poet, writer and occultist Victor Neuburg and his companion Runia Tharp held a party in London. Psychoanalyst Grace Pailthorpe and artist Reuben Mednikoff met there, beginning their 40-year artistic collaboration soon after. Aligned with the English surrealist movement, Pailthorpe and Mednikoff combined a free, associative approach to painting with in-depth psychoanalysis, believing that this approach could – if practiced by enough people – lead to the complete liberation of humanity. Pailthorpe was a founder of the Institute for the Scientific Treatment of Delinquency (now Portman Clinic), patronised by the 9th Earl De La Warr. They lived in Ninfield for the last years of their lives, and were regular visitors to Bexhill, sometimes to attend a meditation group held in the now-closed Glynde Hotel. An exhibition of the artists’ work is on display in the Ground Floor Gallery from 6 October 2018 – 20 January 2019. A number of new buildings along the Sussex coastline, also completed in 1935, shared the architectural ambition of the De La Warr Pavilion: Embassy Court, Brighton; the Sandcastle, Pevensey and 58 South Cliff, Bexhill, all designed in the ‘streamline moderne’ style. Whilst these buildings represented a Modernist vision for the Sussex coastline, other projects such as the neo-Grecian bandstand in Eastbourne, built that same year, present a rather conservative outlook more representative of general taste. This tension manifested in other ways, too: as ‘continental resorts’, Bexhill and Brighton had liberal attitudes towards bathing wear, allowing trunks for men, whereas Eastbourne permitted only full-body swimwear, for everyone.